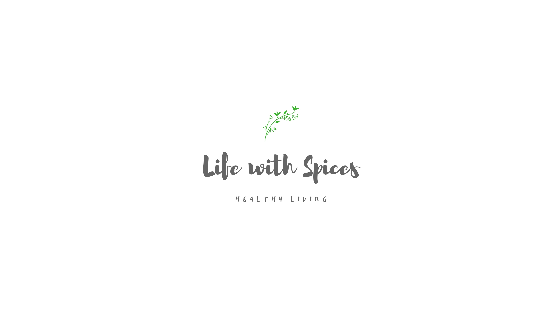 Life with spices: HAPPY HOLI - THANDAI ON TIS COLORFUL DAY!! HAPPY HOLI - THANDAI ON TIS COLORFUL DAY!! Thandai is a very popular drink during Holi festival in Northern India. This is my first try on thandai from US Masala it turned out so well. The richness of saffron, rose flavor, almonds, cashews, pistachios makes this drink delightful. Boil the milk with sugar and and allow it to cool. Add the ground paste to the milk and rest for 2 hours in refrigerator. Before serving strain the milk through a fine sieve. 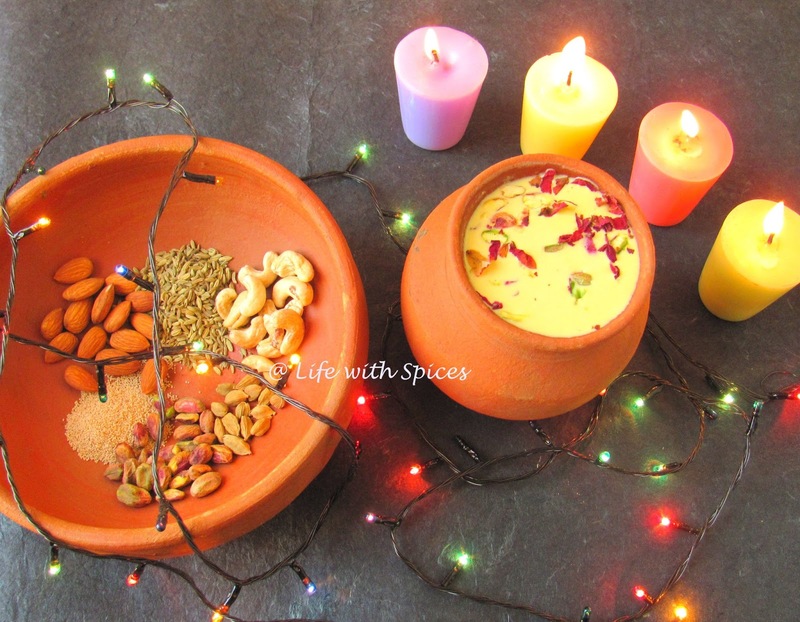 Sprinkle chopped pistachios, almonds, saffron strands and dried rose petals and serve!! Love that serving pot, very attractive drink..Never had a chance to taste it..Happy holi wishes. 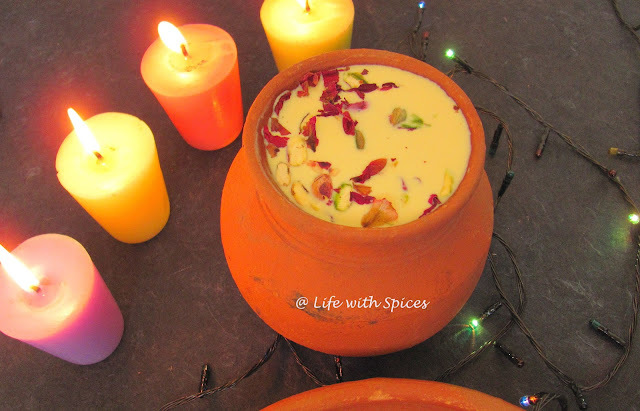 Happy Holi, thandai looks super tempting..
Looks delicious.. thanks for sharing !! Its so strange that customs and the type of food we savour varies from where we originate from. Though I am an Indian, born and living in Malaysia, I have never encountered such a milk flavored delicious drink. I have saffron, I have milk, I have some nuts though not the same as per your recipe and ----- a good try as you have shared will be simply divine for our tastebuds. Coincidentally, I am also sporting "Thandai" on my blog. Nice click and loved your presentation.